As you move forward in your career, an MBA from the University of Toronto’s Rotman School of Management gives you the knowledge, agility and confidence you need to transform your future. Our campus, in the heart of downtown Toronto, is steps from the country’s dynamic commercial and financial hub. Master business fundamentals and fulfill your potential in Canada’s leading MBA program. Specialize and enhance your skills in one of our MBA majors. As a student in the Full-Time MBA program, you can choose from one of our 16 majors to build your expertise or chart a new career path. More than 90 elective course offerings allow you to customize your MBA experience. Explore our course descriptions to learn more about the opportunities available to you at Rotman. We offer more than 90 elective courses to allow you to fully customize your MBA experience based on your interests and career goals. Join the largest and most diverse MBA program in Canada, located in the heart of the world's most multicultural city. Outside of Toronto, you will have a range of opportunities to gain international experience while at Rotman to prepare yourself for business in the global economy. Rotman MBA students play a vital role at the Creative Destruction Lab by providing aspiring entrepreneurs with the strategic insights they need to turn their research innovations into high-growth ventures. The management faculty at Rotman is the largest in Canada, and is ranked among the top ten globally for business research. Our 130 faculty members bring their stellar reputation for groundbreaking scholarship, teaching excellence, and insight into a wide range of management issues into every classroom experience. The Rotman Full-Time MBA program attracts top talent from an incredibly diverse range of professional and academic backgrounds around the world. Rotman Onboard matches talented upper-year MBA candidates with non-profit boards and charities for a 6-8 month fellowship. Potential candidates act as advisory and non-voting board members and complete a strategic governance project based on each firm's needs. As a Rotman MBA student, you will be challenged every day to push yourself and build a network of friends for life. Learn what makes Rotman such a dynamic place to study, have fun, and transform yourself. The range and diversity of student clubs available in the MBA program is remarkable. Whether your goal is to grow your network, build your skills, or just enjoy a good time with your classmates, we have a Rotman club for you. The real-world perspectives, leadership styles and personal philosophies shared by executives with students have an extraordinary impact on students. The best way to experience the Rotman School of Management is to see it for yourself. Take a look at our collection of photos from inside our new building and around the University of Toronto campus for a glimpse of life at Rotman. Life at Rotman is full of classes, club events, learning team sessions, job searches and social events. With so many opportunities, each student experiences the MBA program in a unique way. We invite you to read our student blogs for the inside scoop on what it's like to be a Rotman student. Located just blocks from Canada's business centre and part of the University of Toronto, the Rotman School is ideally positioned to help you connect with top employers and take the first steps toward a fulfilling career. Find out how the Rotman MBA can benefit you and your professional growth. The global reputation of Rotman attracts recruiters from around the world for access to the largest, brightest, and most diverse MBA talent pool in Canada. Rotman is located in the heart of downtown Toronto, just blocks away from Canada’s business and financial centre, and is ideally positioned to help students connect with employers. You are considering an MBA because you want a challenging career that matches your ambition. The Rotman career centre is dedicated to helping you achieve your goals with one of the largest teams of dedicated career services professionals in business education today. A Rotman degree has been described as a master key that opens many doors. 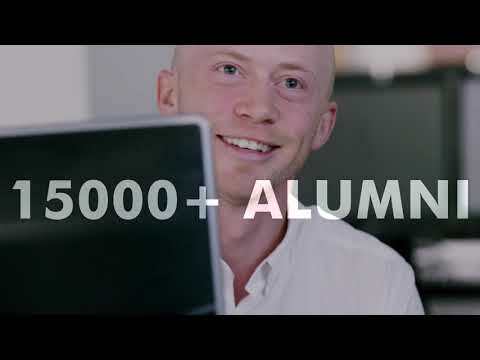 Meet some of our graduates, explore their career paths, and learn how the Rotman School helped them achieve their personal and professional best. As a professional school, career preparation for employment is part of the core academic mission at Rotman. The Flexible Internship Program (FIP) increases the number of available work placement opportunities and enhances the learning experience for Full-Time MBA students by integrating the work placement into a formal course. You may already know what you want to do after earning your MBA, or you may be seeking the opportunity to explore new directions. Whatever your goals, find out more about how the Rotman MBA can help you focus your vision and choose your industry focus. Learn more about ways to connect with our talented students. A member of the Rotman career team will be appointed to work exclusively with you to achieve your goals and help your firm develop a comprehensive campus recruitment strategy. All international graduates of the Full-Time MBA program are eligible for a 3-year Canadian work permit, a major advantage not offered by other international and one-year MBA programs. If you come to Canada with your family, your partner can also work while you study. The Rotman MBA is a serious investment in yourself and your career with a return that you will enjoy for the entire duration of your professional life. Learn more about the many options available to you as an international student for financing the cost of the program. Rotman boasts one of the most international student bodies of any leading business school. We offer a range of services – from academic orientation to professional development – designed for students from outside Canada.